The spots belong only to the dog. 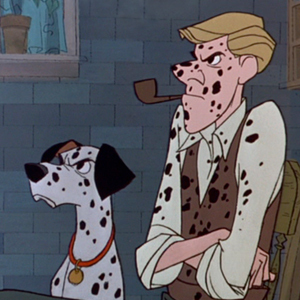 Those on the man, Roger Radcliff, are from the pen of a dognapper hurled at him in this scene from Walt Disney’s feature-length cartoon comedy, 101 Dalmatians. 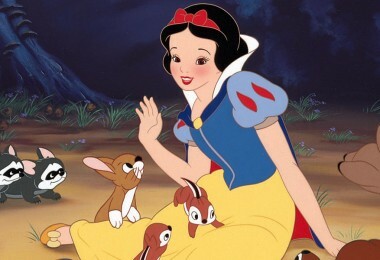 Adapted from the Dodie Smith novel, this is the hilarious story of an ultra villainous woman who steals Dalmatians for the wonderful fur coats they will make. 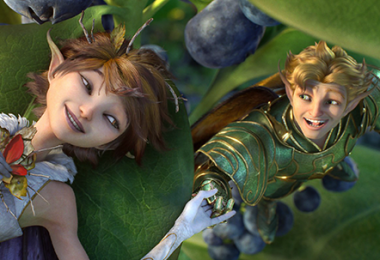 The color by Technicolor film is re-released by Buena Vista. Producing the “white” for the dogs alone— Dalmatians are white under the spots— required enough very light gray paint to make this category the predominant one in the picture’s broad spectrum. Pure white, of course, would have been too garish, too difficult to define, especially against snow.